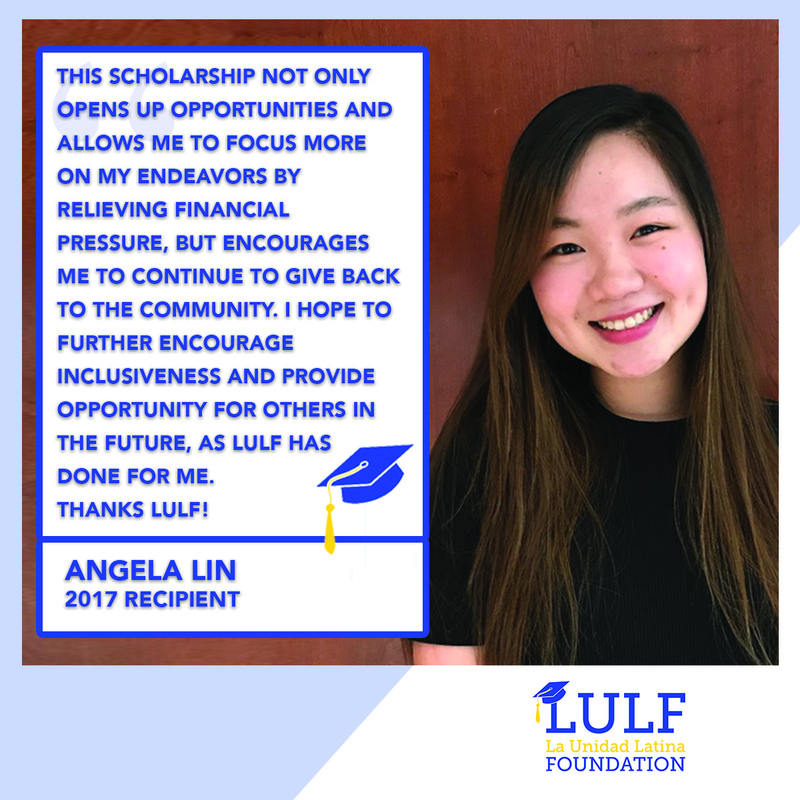 Give the gift of college! 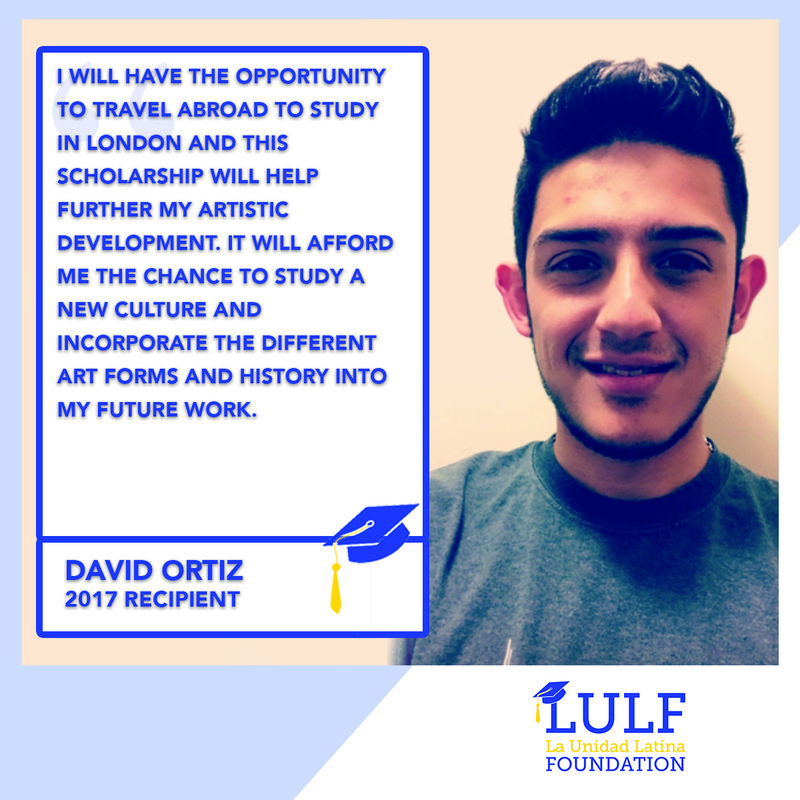 Are you a DREAMer or international student from Latin America? 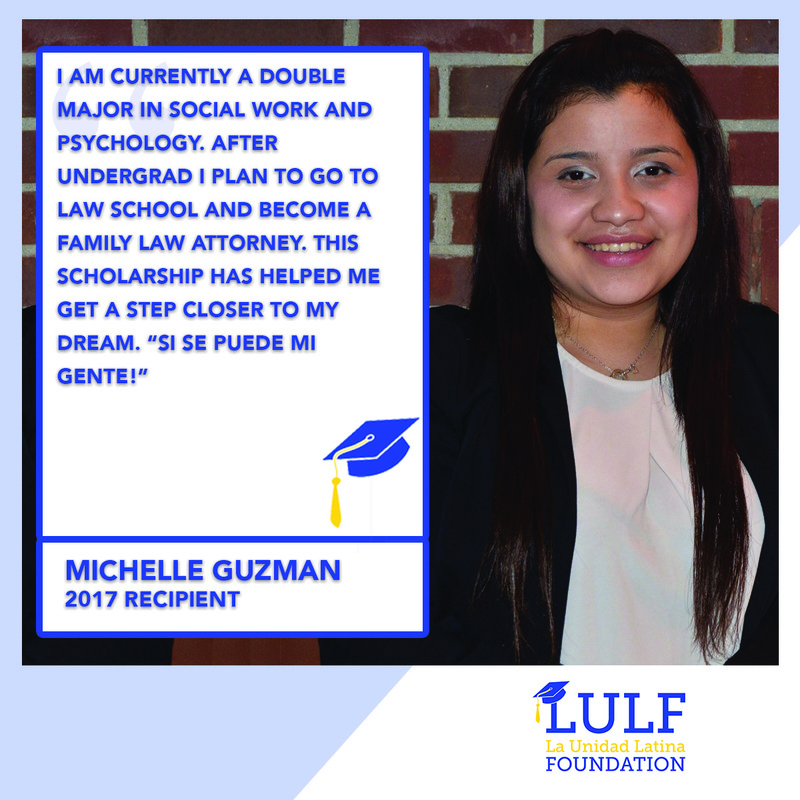 Apply to our MPOWER scholarship until April 15 for a chance to win a $3,000 scholarship! 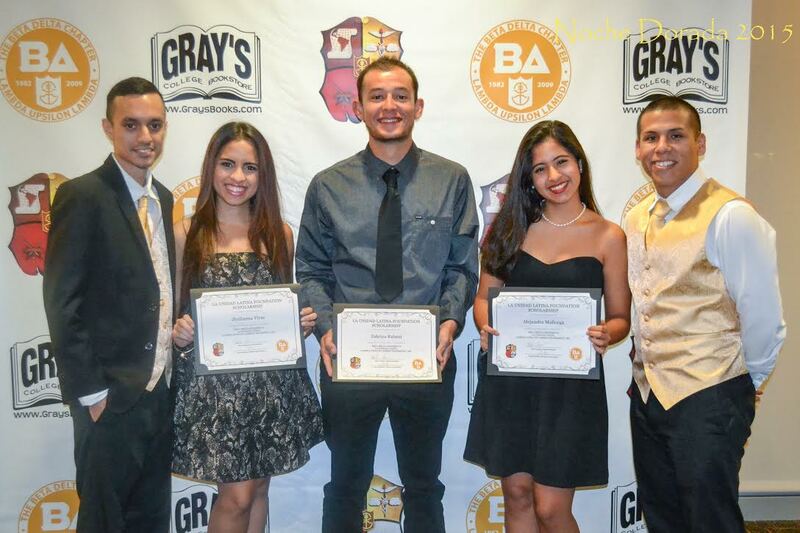 MPowering DREAMers and Latin American Students! 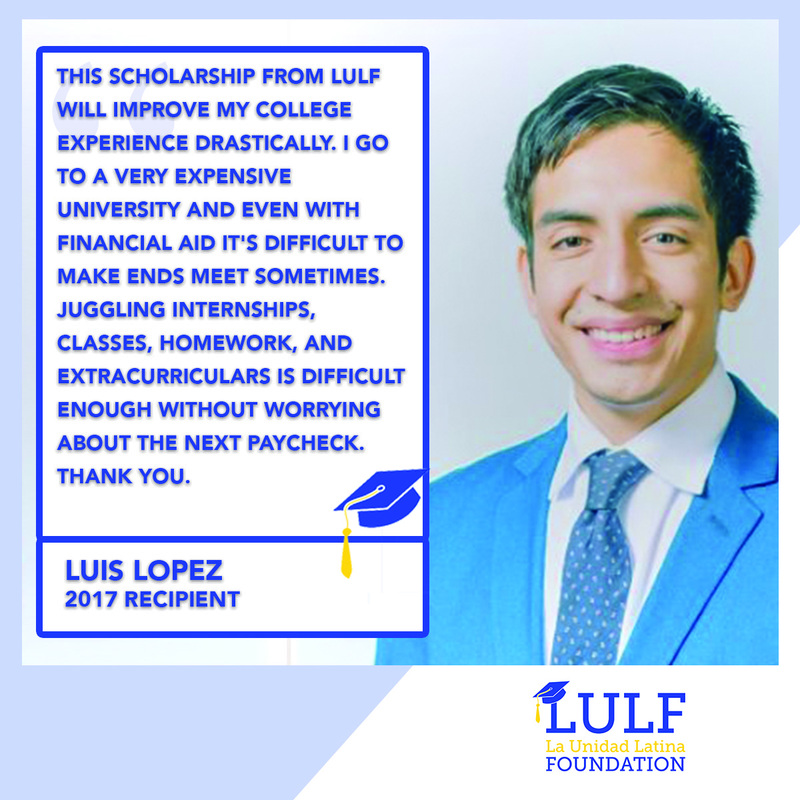 Support our Spring 2019 Scholarship initiative for DREAMers and students from Latin America. 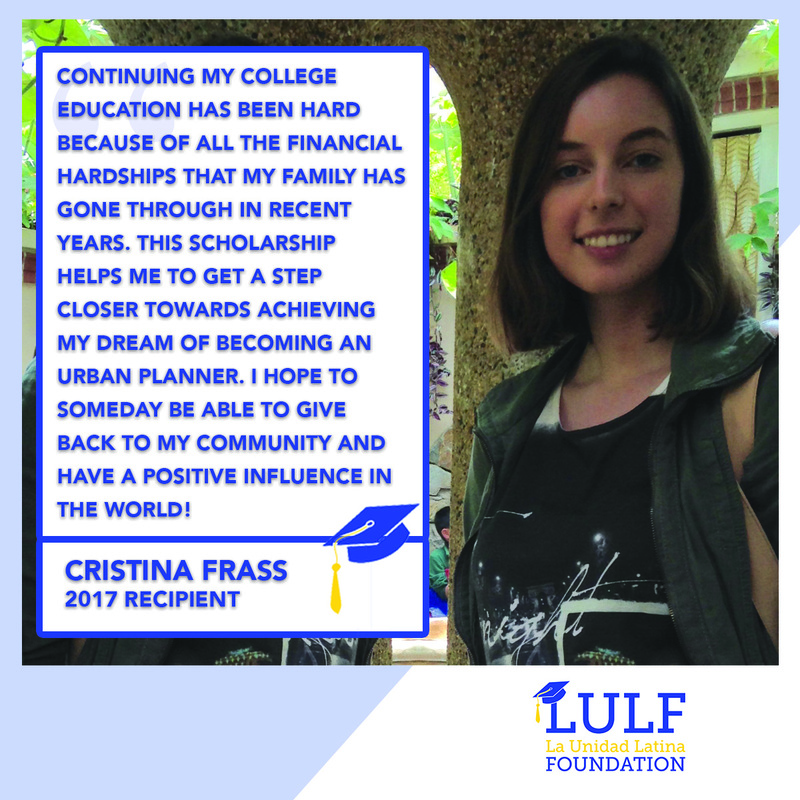 Your path to college starts here! 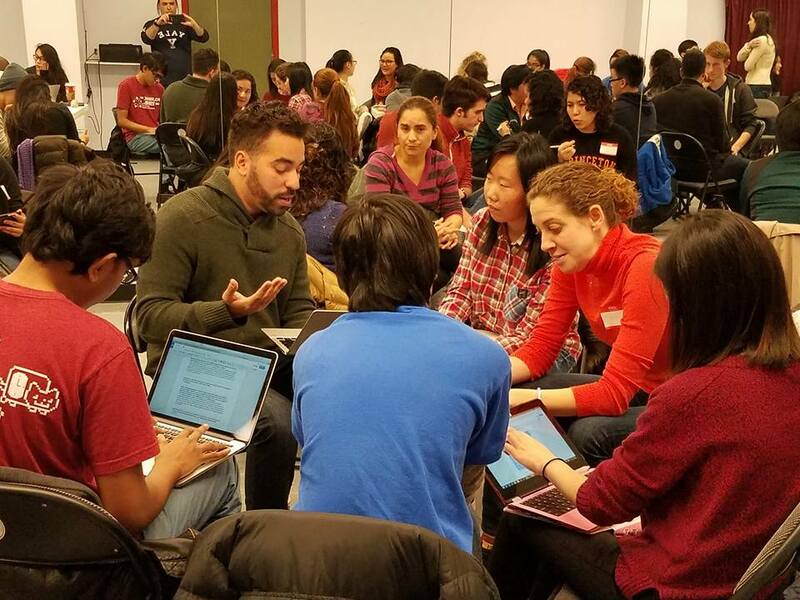 We provide monthly workshops to assist New York City HS students in the college application process. 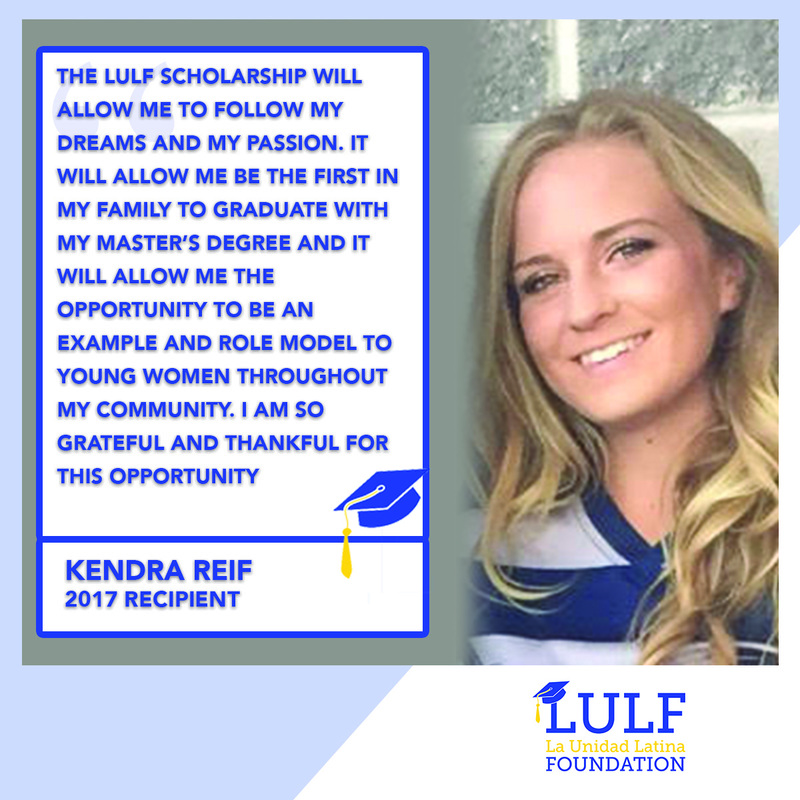 We provide scholarship programs designed to close the college completion gap. 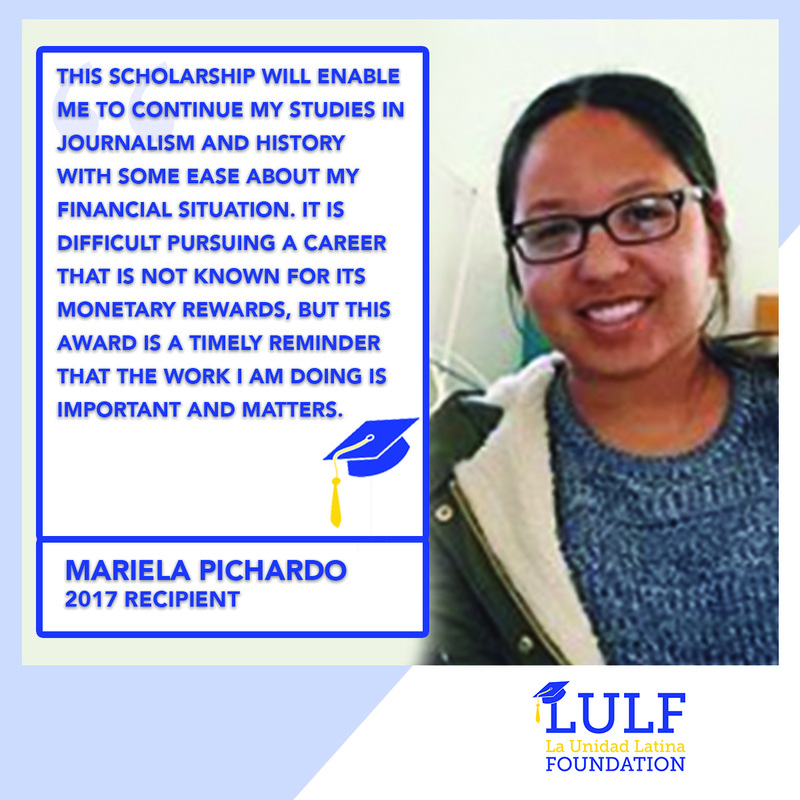 LULF and MPower Financing joined forces to support DREAMer and international Latin American students. 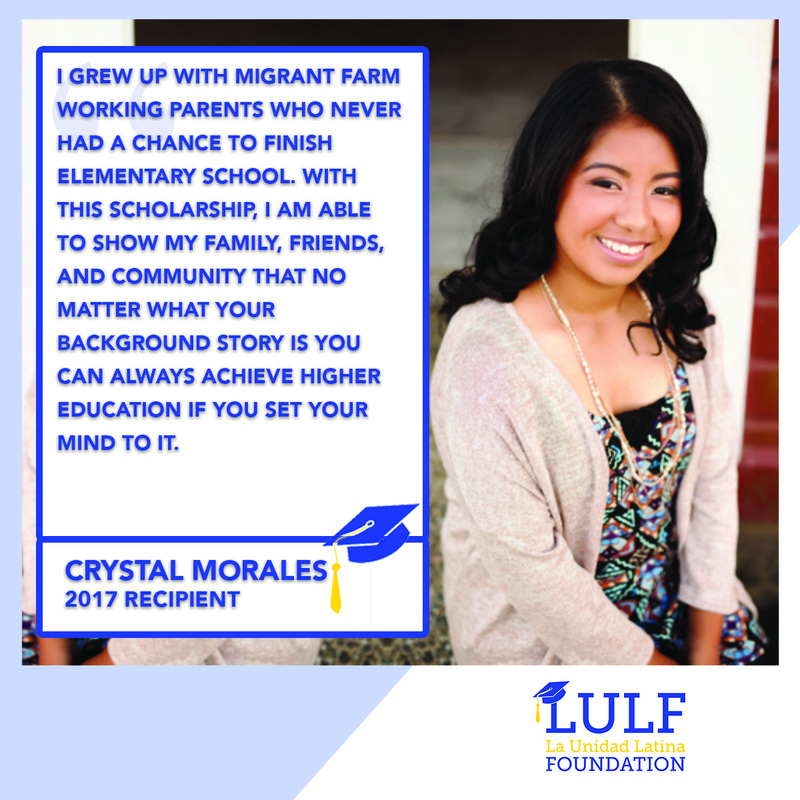 Together, we will help more students achieve their dreams. Application opens January 15th! 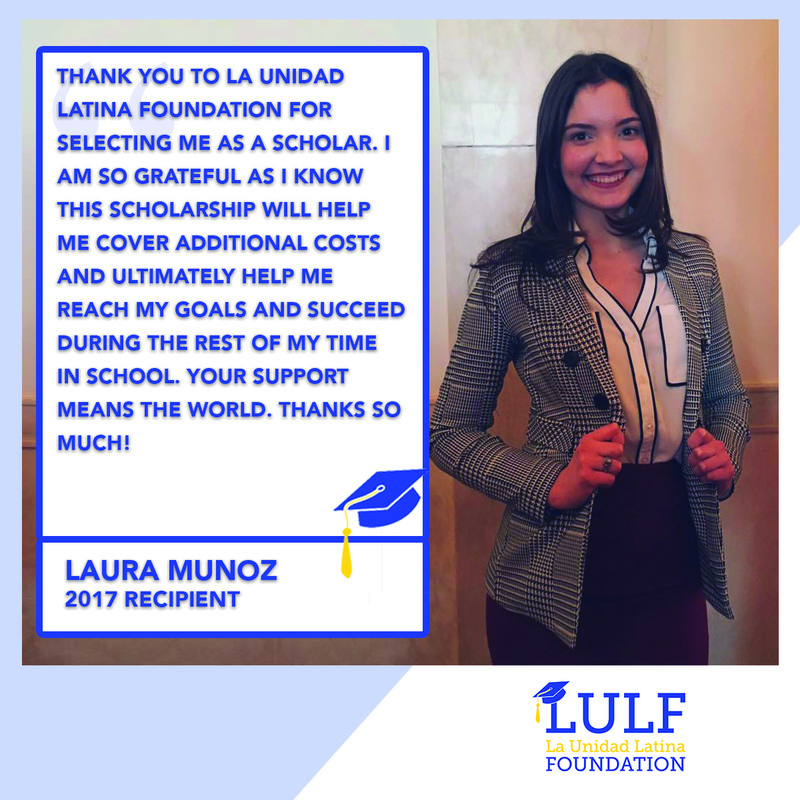 La Unidad Latina Foundation is a community of socially conscious college-graduates dedicated to the advancement of the Latino community nationwide. 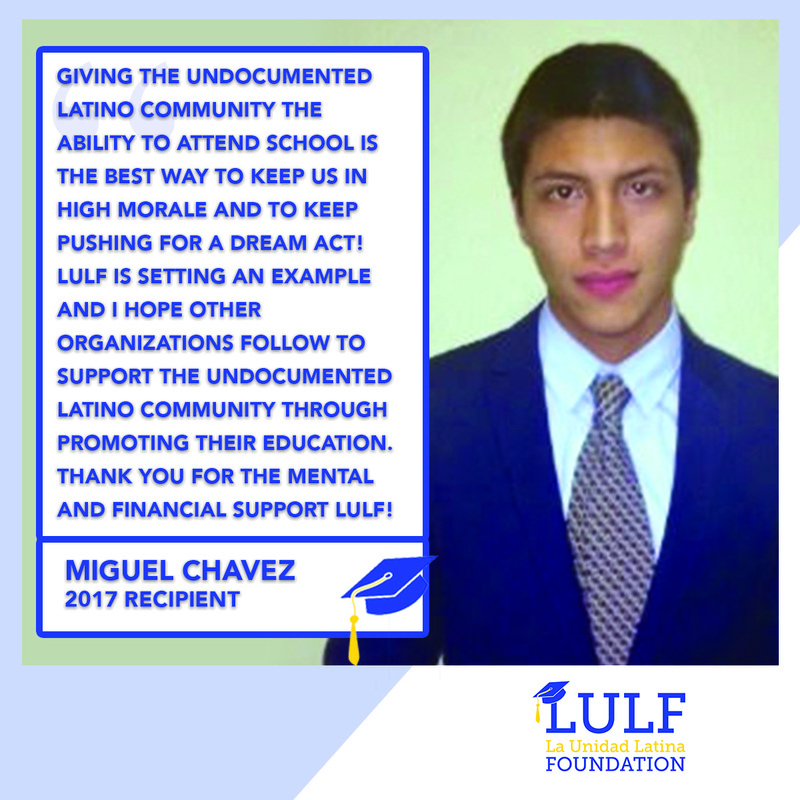 We achieve this by propelling students dedicated to advancing the Latino community from High School to College Graduation and beyond. 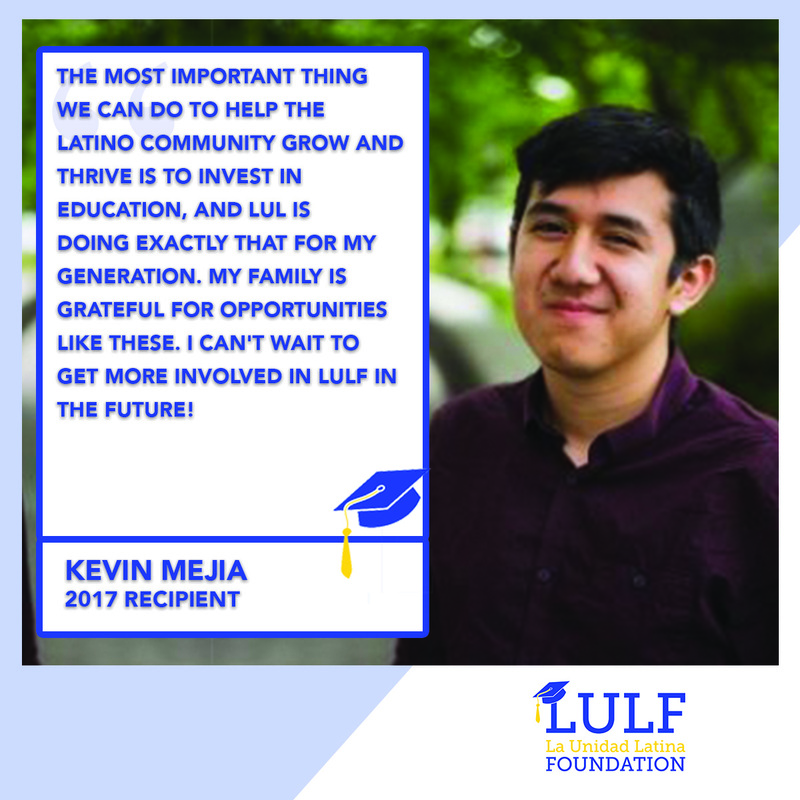 We believe ensuring their future success in High School, College, and in their Careers, will ensure the success of all of the United States of America. 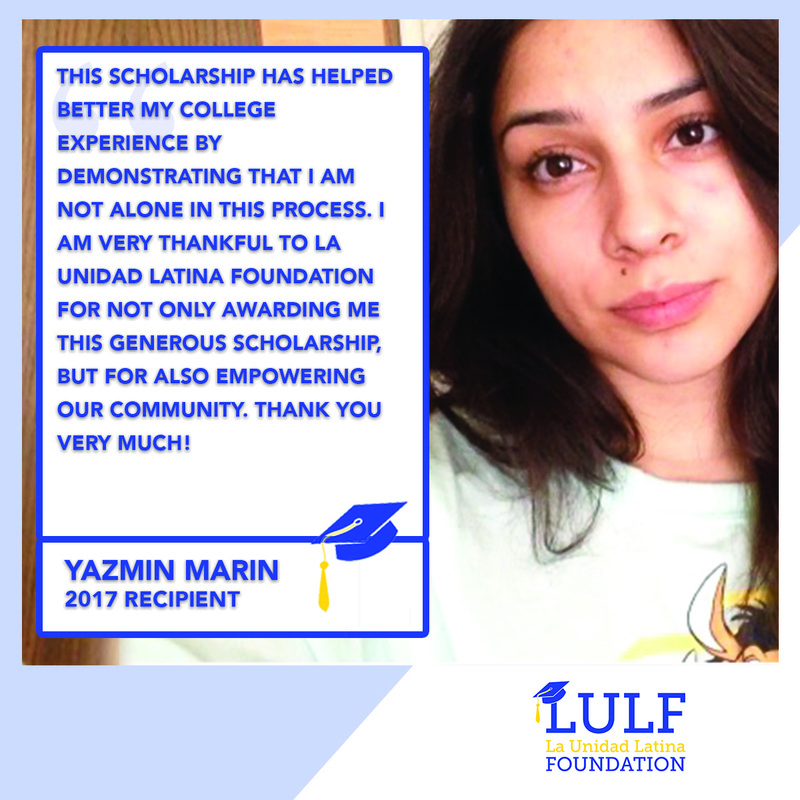 Y Tu También, a La Unidad Latina Foundation program, increases access to higher education for Latinos, 1st generation students, minorities, and any student in need. 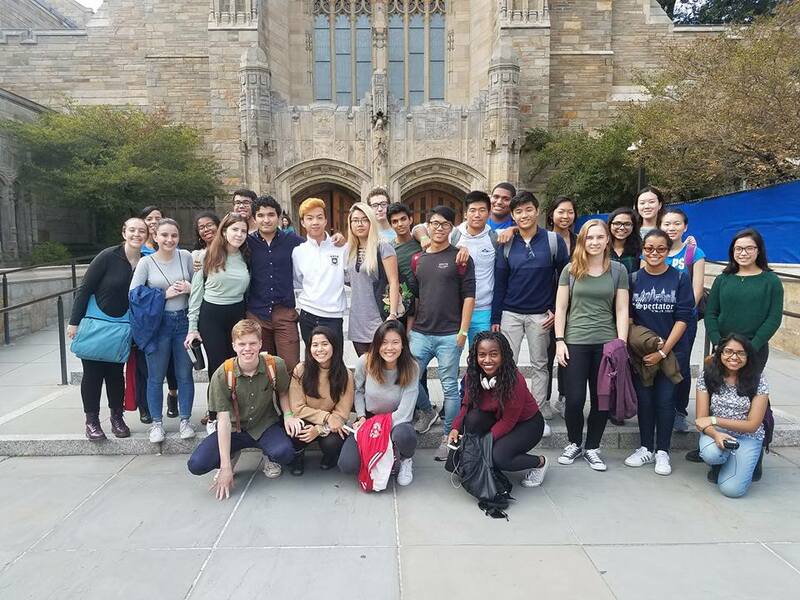 We provide help with all college applications and help students find the school that is the right match for their interests while encouraging them to strive for the best this country offers in higher education. 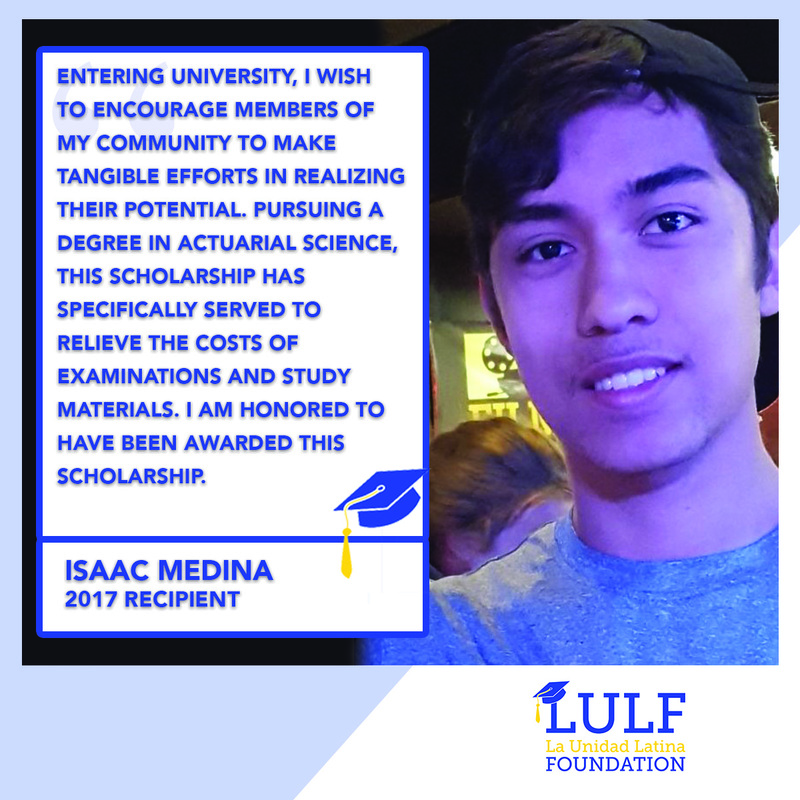 It is key to our mission that all our programs must always be offered at no cost to students and schools so that there is never a barrier between students and higher education. 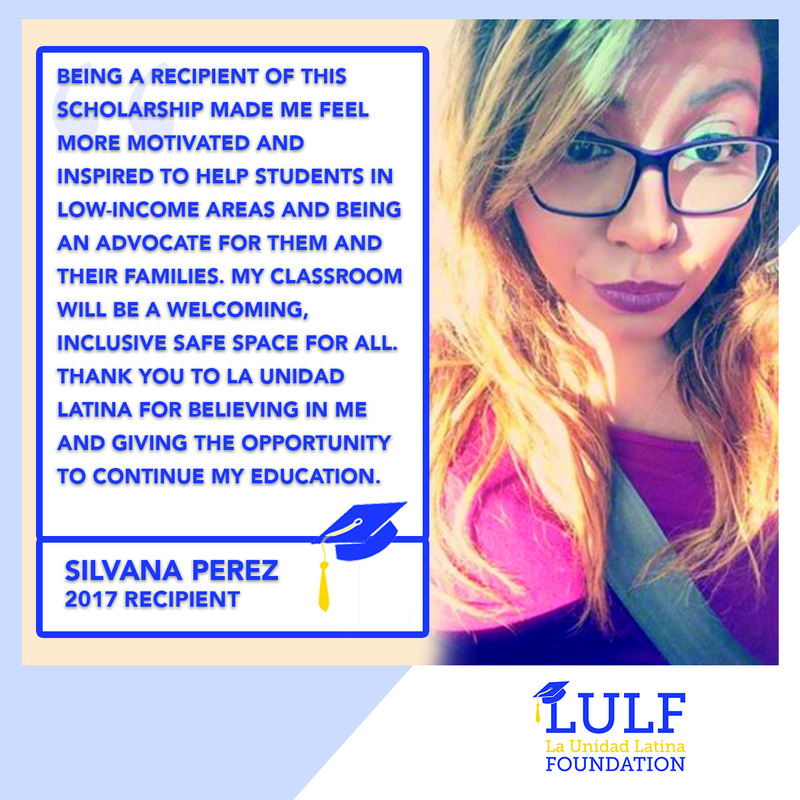 Nearly three quarters (74%) of all Latino students who cut their college education short do so due to the financial pressures of supporting their families. 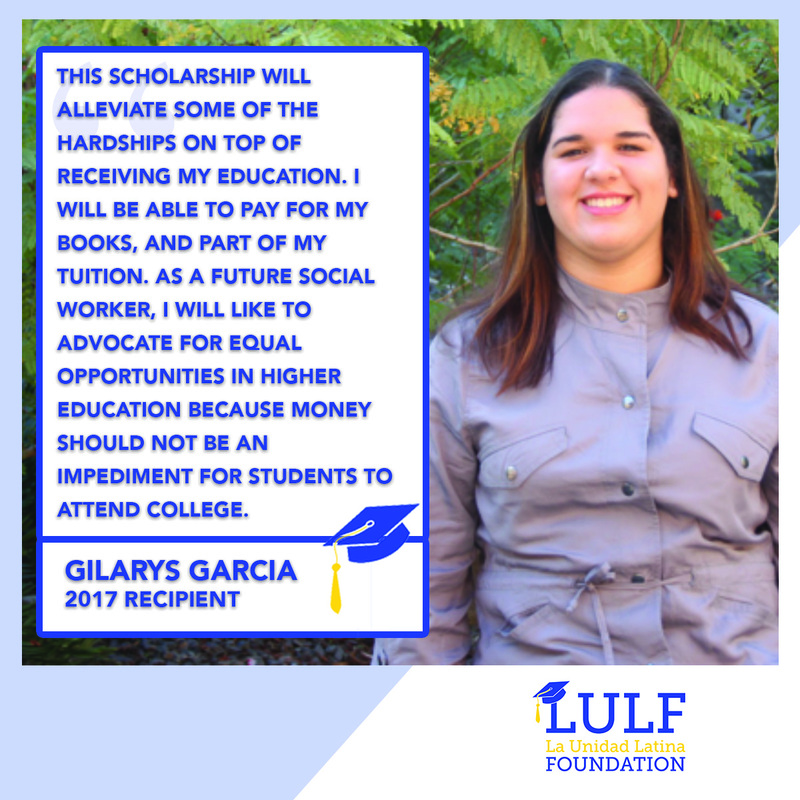 We want to make sure all students who start college, finish college by providing scholarships directly to the students when they need it most. 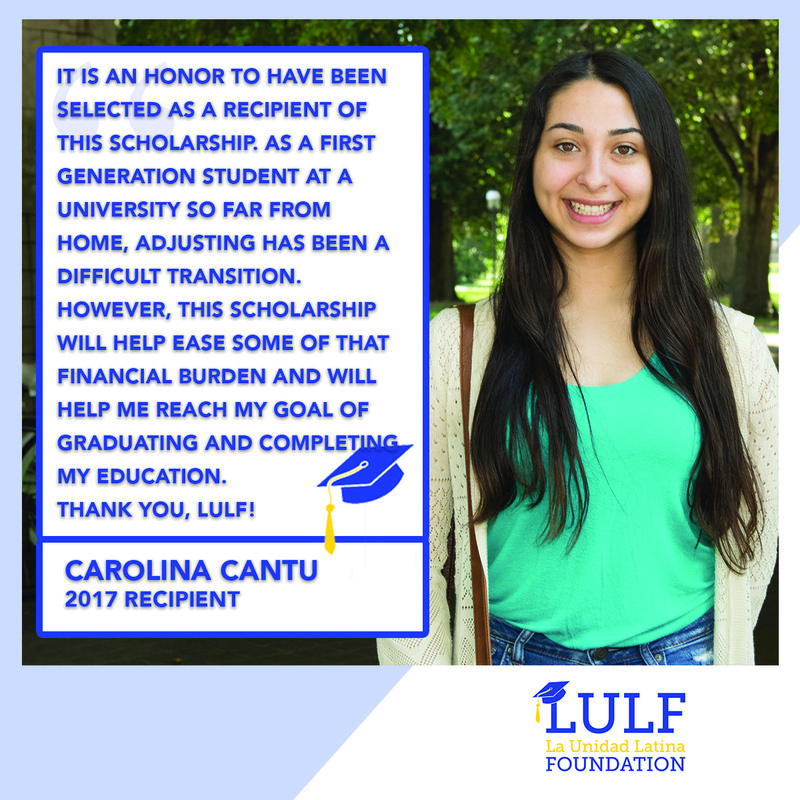 The Carmen Rosa Career Readiness Fund prepares Rising Seniors for the critical fall recruiting season by providing financial assistance for professional attire, providing resume building and interview preparation workshops. 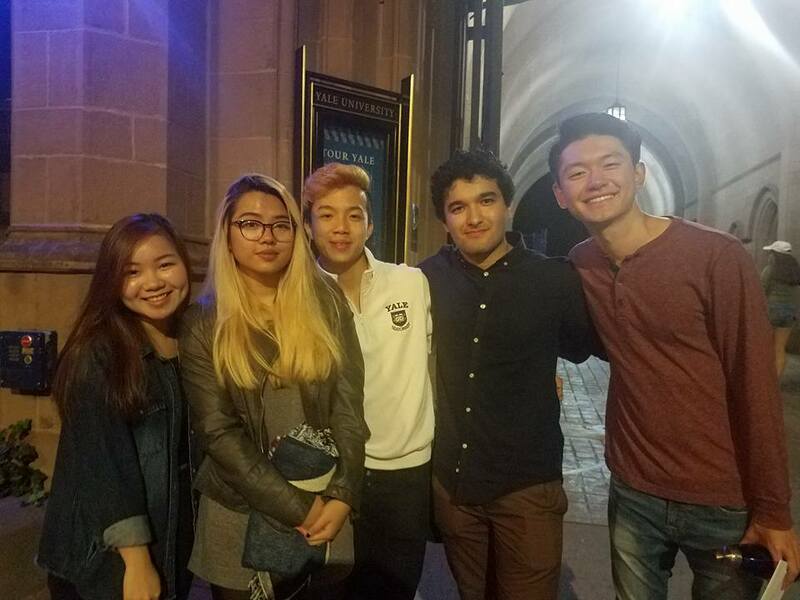 We also create industry specific networking opportunities for our students to connect with potential mentors. 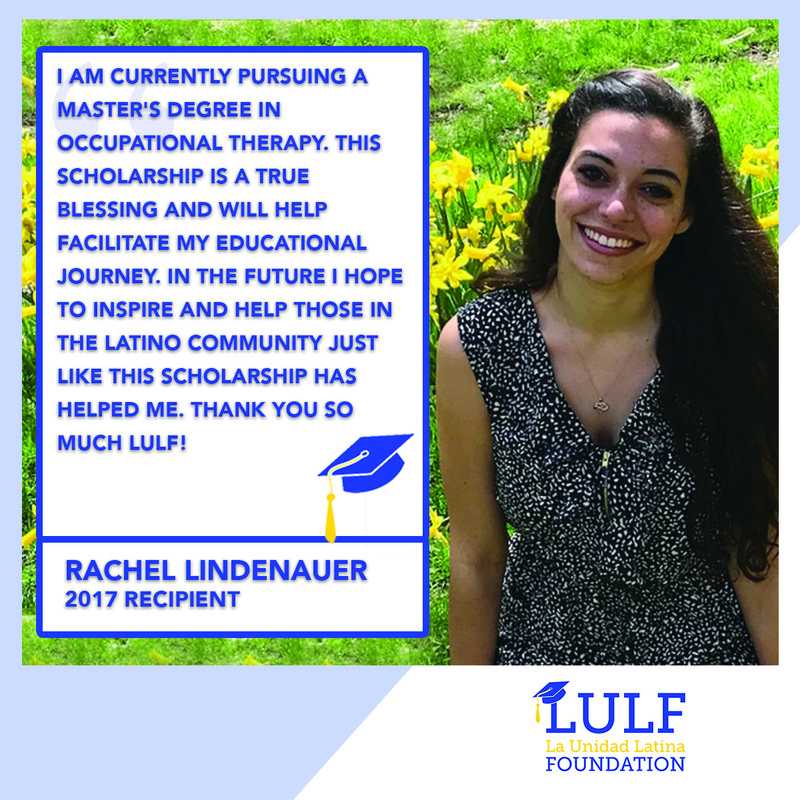 Our National Scholarship program will reopen in Fall 2019. 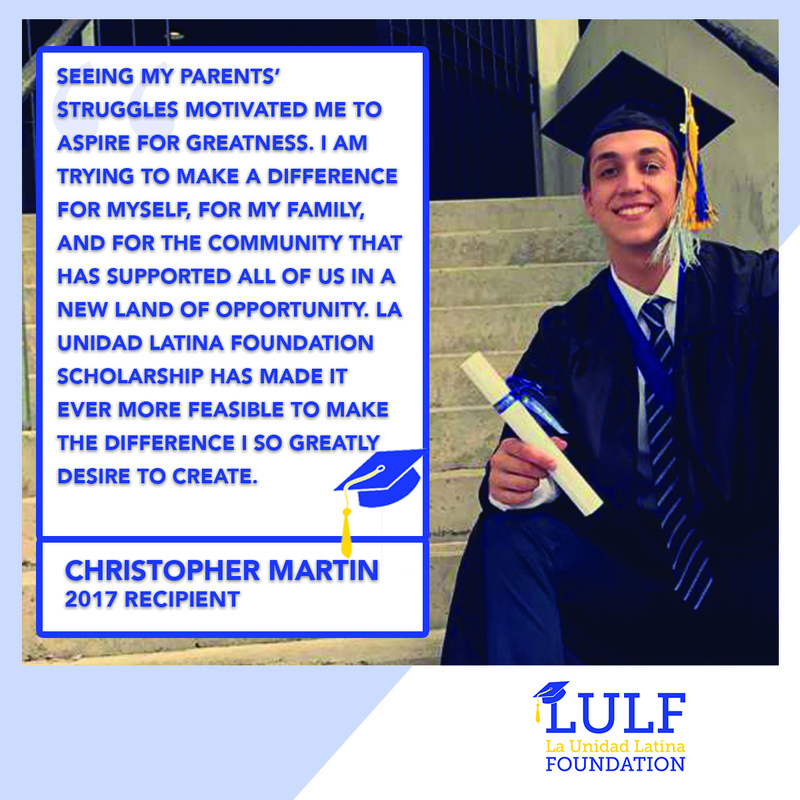 The LULF - MPower scholarship application opens January 15th! 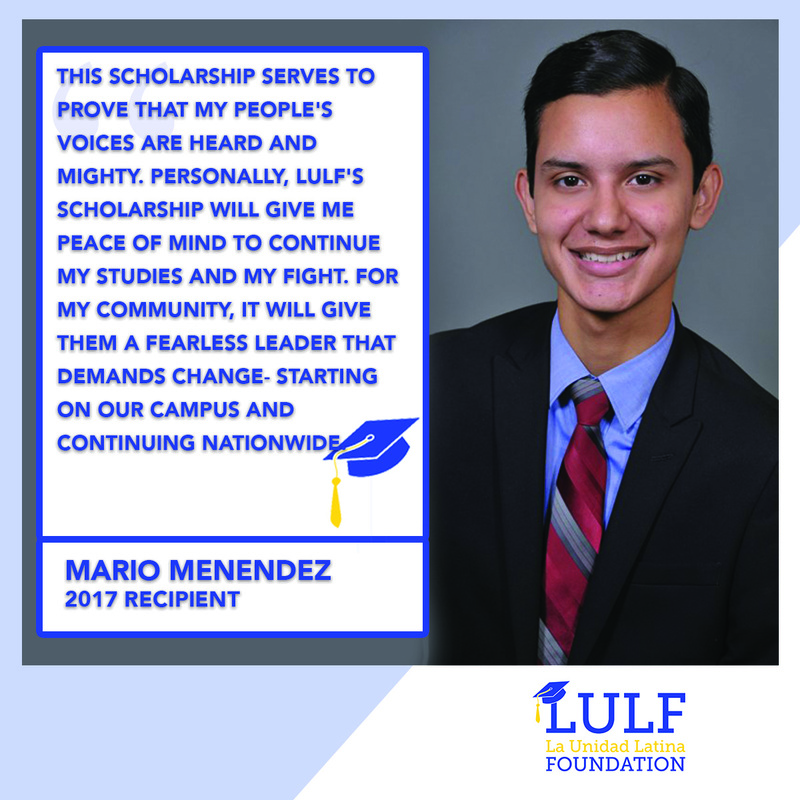 See the 2016 Scholarship Winners. 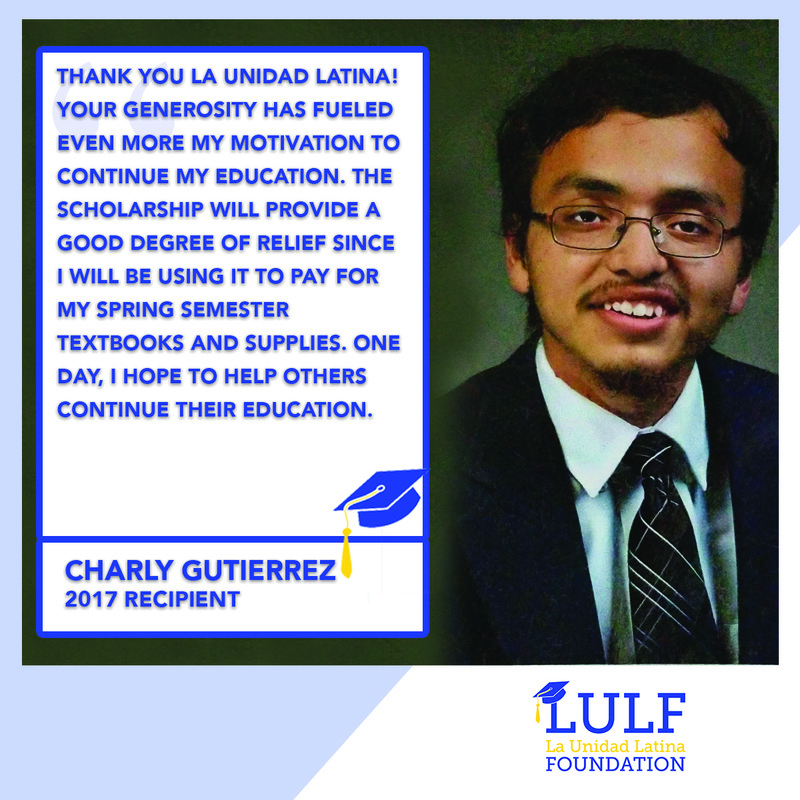 © copyright 2017 by La Unidad Latina Foundation. All rights reserved.